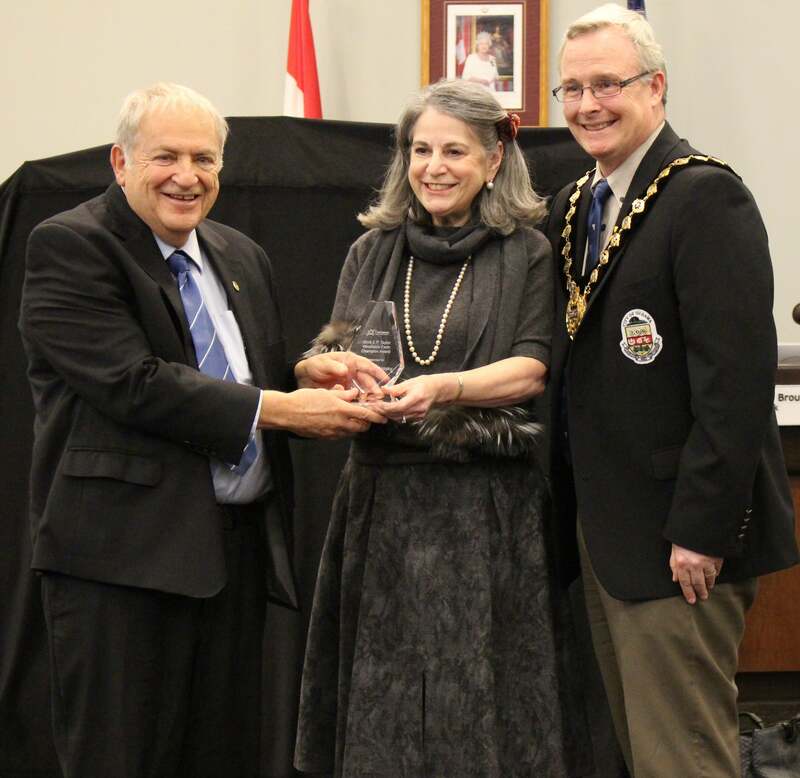 The City of Oshawa honoured the legacy of some of Oshawa’s most impactful community members and organizations tonight. The high-profile list included Northern Dancer, Mr. E.P. Taylor and Windfields Farm, Dr. Gary Polonsky, Ms. Noreen Taylor and the University of Ontario Institute of Technology (UOIT). presented Ms. Noreen Taylor, the third Chancellor of UOIT as well as wife of the late Charles Taylor and daughter-in-law of the late E.P. Taylor, and Dr. Steven Murphy, President and Susan McGovern, Vice-President, External Relations and Advancement of UOIT, with the original Windfields Farm entry sign for display as part of the school’s efforts in preserving the heritage of the farm. developed designs reflective of Windfields Farm architecture and aesthetic for City facilities and parks. Today’s event further supports the implementation of this Legacy program. The E.P. Taylor/Windfields Farm Champion Award will be presented annually as a reminder that Oshawa’s future is built on the legacies of the men and women like E.P. Taylor: the innovators, leaders and champions.